Originally created for the Pendennis 25th Anniversary celebration. 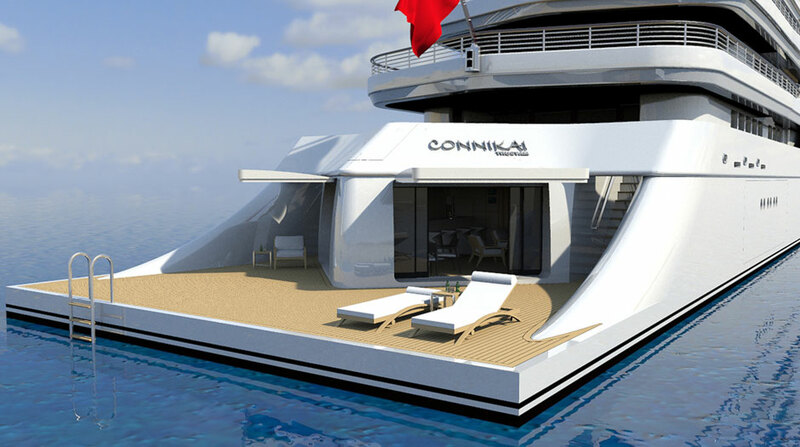 Connikai was conceived back to front. 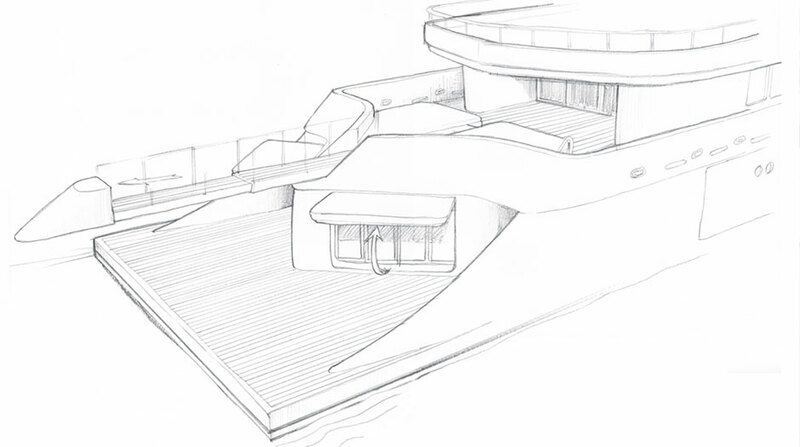 It began with a desire to create a proper transom room that could have a direct relationship between the swim platform and sea. To create a space that could adequately serve guests using the swim platform for sunbathing and relaxing, as well as creating a shaded retreat. The double transom doors are a unique feature, with the passerelle centred above and between. 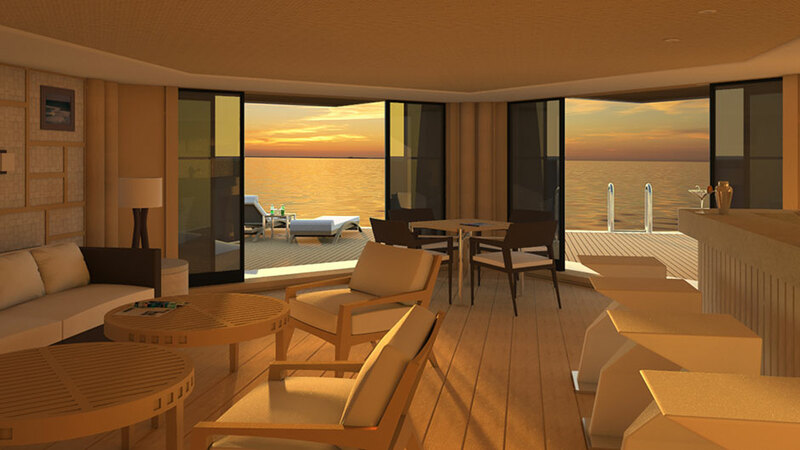 The headroom for this transom room, and space for the passerelle, is created by a large sunbed on the main deck. From the idea of reconnecting the yachting experience to the sea, the yachts graceful and fluid lines were penned, to create an enduring and timeless classic.